Neighborhood Parcel, a Biz International Corporation is delighted to announce that as part of its overall corporate responsibility program, it will be supporting the Massachusetts Habitat For Humanity organization and continue to support the Lazarus House of Lawrence MA. Our support will come in volunteering and charitable donations to these worthy causes and organizations. Habitat for Humanity is a nonprofit, ecumenical Christian ministry founded on the conviction that every man, woman, and child should have a decent, safe and affordable place to live. The houses would be built at no profit and interest would not be charged on the loans. Building costs would be financed by a revolving fund called “The Fund for Humanity.” The fund’s money would come from the new homeowners’ house payments, no-interest loans provided by supporters and money earned by fund-raising activities. The monies in the Fund for Humanity would be used to build more houses. Supporting The Lazarus House: Matching dollar for dollar donations made at our stores. Volunteering for Habitat For Humanity: Our staff is listed as a volunteer for this great cause. Offering shipping discounts: since we have no greedy stockholders to answer to, we are able to support the Lowell Art Community and Umass Lowell students by offering them lucrative discounts in International and Domestic shipping services. Donating to charities: We continue to donate and support local and national charities like Boston Strong, Walk For Cancer, Alzheimer’s Fund, Tewksbury Lions Club, Wilmington Tewksbury Business Chamber, and many more worthy causes. Supporting a local business has always paid off when you select to do business with a local business, you are supporting a local family, funding a local state tax fund and your money is spent locally Vs elsewhere. The same principle applies when you are looking to hire a shipping or shredding service company, always consider hiring a local business so your payment is supporting local programs and helping your neighbors. 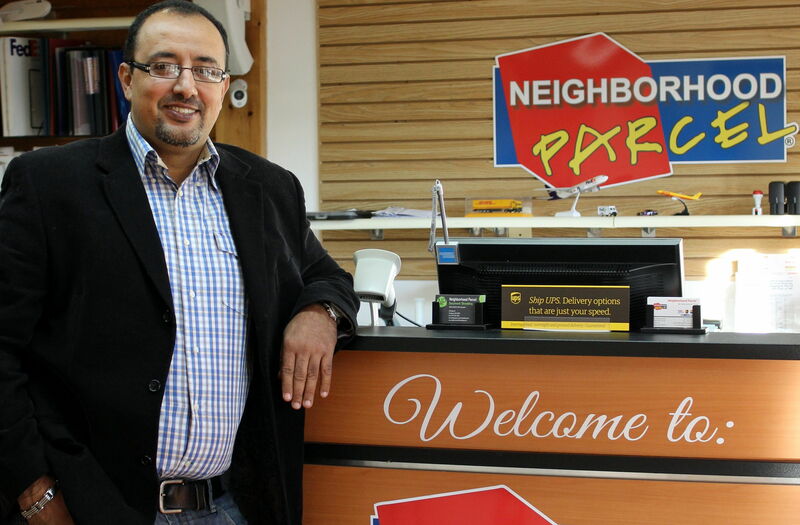 We are thankful for a business like Neighborhood Parcel to be part of our community. For over a decade, Mr. Bechat played a big role in our community by sponsoring local Charity events and giving back every chance he gets. Besides the charitable contributions, Neighborhood Parcel is a great spot to conduct business mailings, making copies, rent a mailbox and ship packages. They make Tewksbury Resident’s life easier as a one-stop shop.